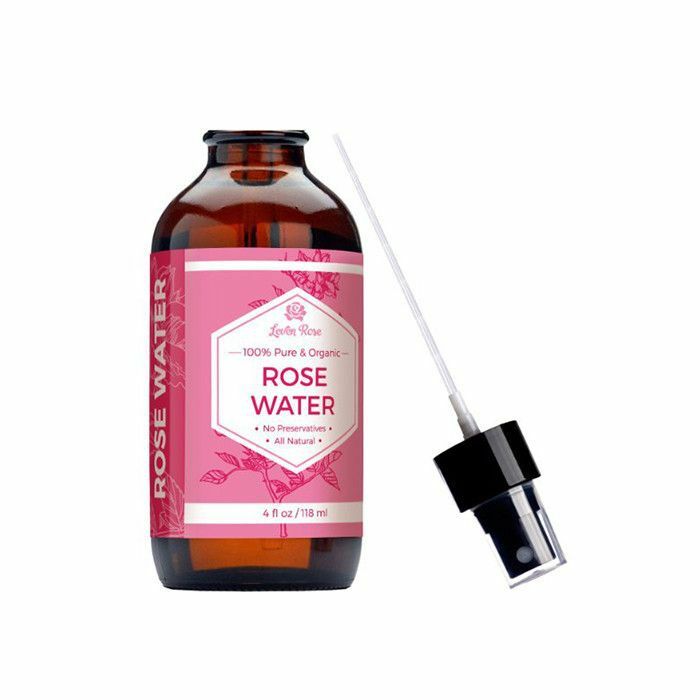 I've been on board with rose water as a skincare product ever since discovering the moisturizing magic of Heritage's Rosewater & Glycerin toner. Hypnotic scent aside, when applied to the skin, rose water has a myriad of glow-inducing benefits. "Topically, rose water balances the pH of the skin, hydrates dry skin, aids in antiseptic, and fights injury due to aging and sun exposure," explains dermatologist Natasha Sandy, MD. Like I said, totally on board. But the other week, a celebrity makeup artist told me in secret that she and all of her L.A. friends swear by drinking rose water too. "We mix it into our smoothies," she told me. Instantly, I was transfixed. So I picked the brains of three skincare experts, who confirmed that rose water is indeed one of humankind's oldest beauty ingestibles. The product, which is made from distilled rose oil, has been consumed by the gallon for millennia. "Nutritionally, rose water contains vitamin A, B, C, and E, as well as flavonoids and other antioxidants," Sandy explains. And though there are few studies demonstrating definitive proof of rose water's benefits as a beauty beverage, people throughout history have depended on it to help with stress, digestion, mood, and inflammation, as well as gorgeous skin. 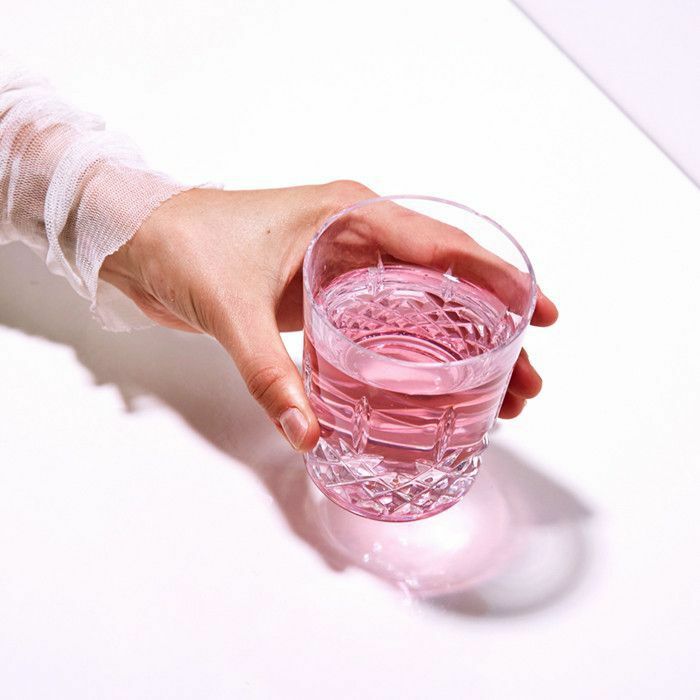 "Since the side effects of drinking rose water are negligible, there may be no harm drinking until the evidence evolves to support current rosewater theories," adds Sandy. So for the time being, bottoms up. Keep scrolling to learn more about the intriguing benefits and rituals of drinking rose water! If inflammation is your problem, sipping on rose water can help. "Rose water is a great anti-inflammatory, which is good for reducing acne, rosacea, eczema, dermatitis, skin redness, and psoriasis," explains celebrity facialist Ildi Pekar. The active inflammation-blasting ingredients in rose water are its terpenes and glycosides, says naturopathic doctor Gabrielle Francis. For acne in particular, rose water offers double the healing effects, as "the essential oils in the rose have antimicrobial activity," adds Francis. The product also contains "geraniol and eugenol, which have antibacterial properties," says Sandy. If nothing else, nursing rose water all day will deeply hydrate your skin from the inside out. "Rose water plumps up the skin because is it hydrating and helps to restore water and fluids in dry skin," says Francis. To reap the hydrating benefits, Sandy and Pekar suggest infusing one of your eight recommended daily cups of water with rose. 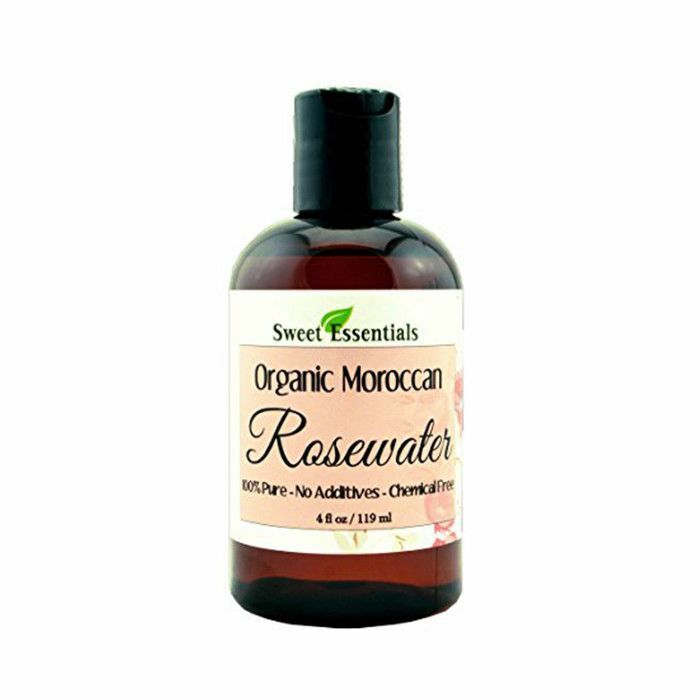 Rose water also has incredible anti-aging effects. "Rose water reduces wrinkles and age spots due to its antioxidants, such as vitamin C and E and flavonoids," Francis explains. In fact, women have been turning to rose water as a source of youth for centuries. "In ancient Egypt, women used rose water to help reduce wrinkles and tighten the pores," says Pekar. Modern experts agree that there's really no downside to drinking rose water. But where did the custom originate? According to our sources, the human species has a rich history of consuming rose water for beauty. "The tradition of edible or oral consumption of rose water goes back thousands of years, though it was primarily for flavor," Sandy explains. "Rose water, which is a by-product from the distillation of rose oil, was initially most popular in Persia [Iran], and then India and Europe." As a beauty ingestible, rose water's origin story goes a little like this: "During an Imperial Royal wedding, a water fountain filled with rose petals developed tiny oil droplets," says Sandy. "These droplets were rose oil, and once the princess applied them to her skin, the tradition began." From then on, rose water was regarded as a symbol of beauty in Persia and was "often given as a gift," says Pekar. Today, people all over the world consume rose water for its beauty benefits. "I have seen people drinking rose water for health and beauty on travels to Greece, Lebanon, Syria, Egypt, Morocco, and India," says Francis. "In Lebanon, where I am from, we have something called white tea, which is hot water with rose water—yum!" You can purchase rose water at many health-food stores and juice bars. 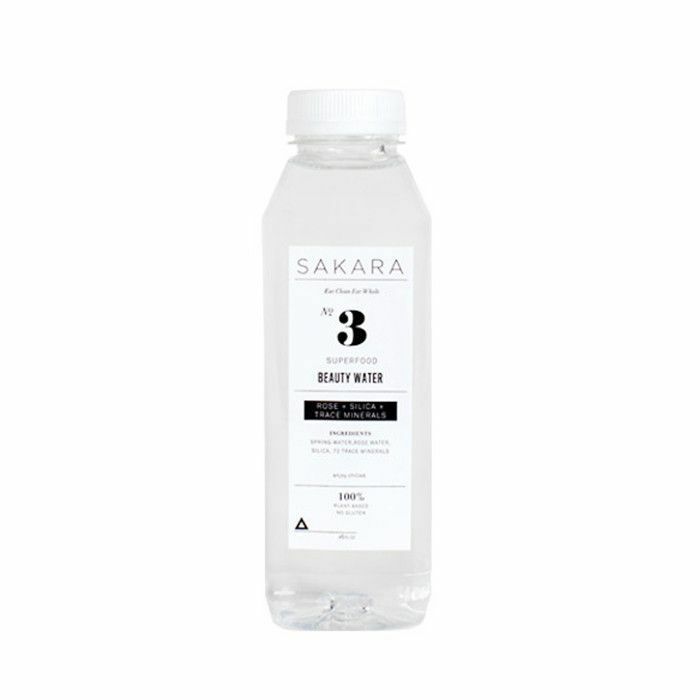 We recommend Sakara's Beauty Water ($24), which also contains silica and 72 trace minerals. "Just be on the look out for added sugar and how much is added," says Sandy. Better yet, you can easily make your own rose water at home, which our experts highly recommend. "If you make it yourself, you can refrigerate it and use it for up to one week," says Pekar. 3. Drink one glass per day for maximum benefits, which will be noticed in one week. Shop our rosewater picks below! Next, learn what happens to your body when you start drinking matcha.